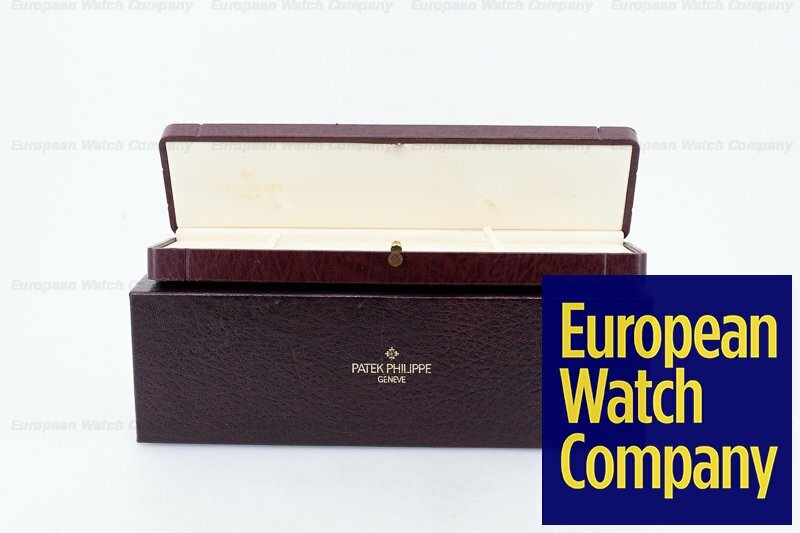 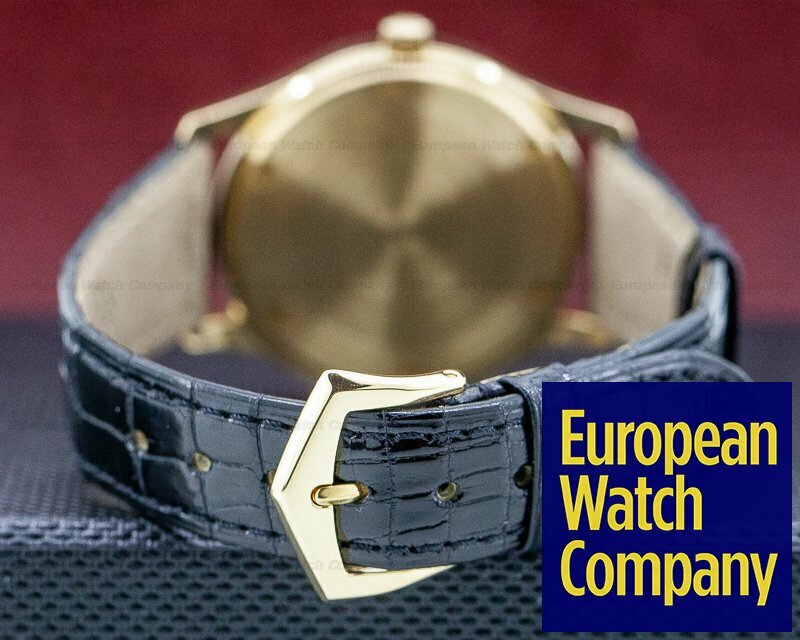 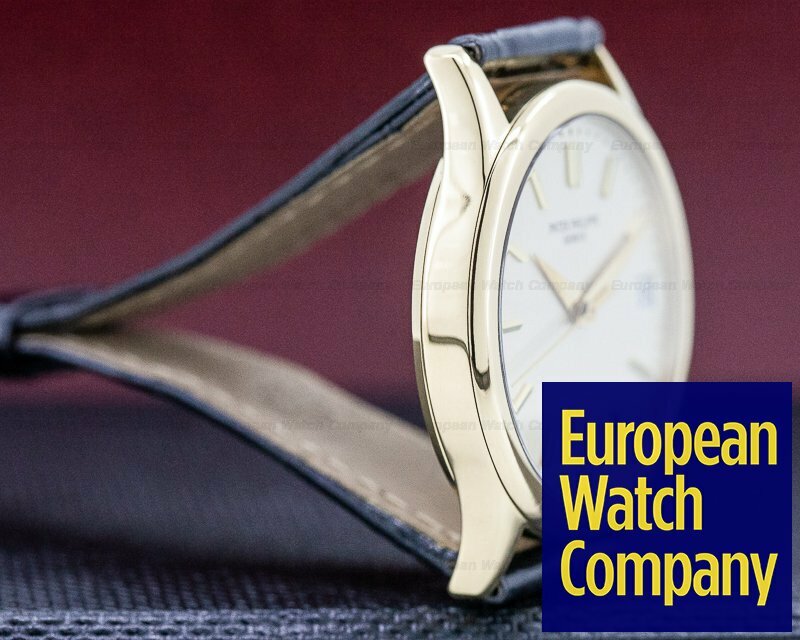 30154 Patek Philippe 3998, Calatrava 3998J, 18k yellow gold on a strap with an 18k yellow gold buckle, automatic, Date, Applied Indexes, Center Sweep Seconds Hand, Sapphire Crystal, Water Resistant to 25 Meters, Size: 34mm, Thickness: 7.5mm, Like New with Patek Philippe box and papers dated 07/1996. 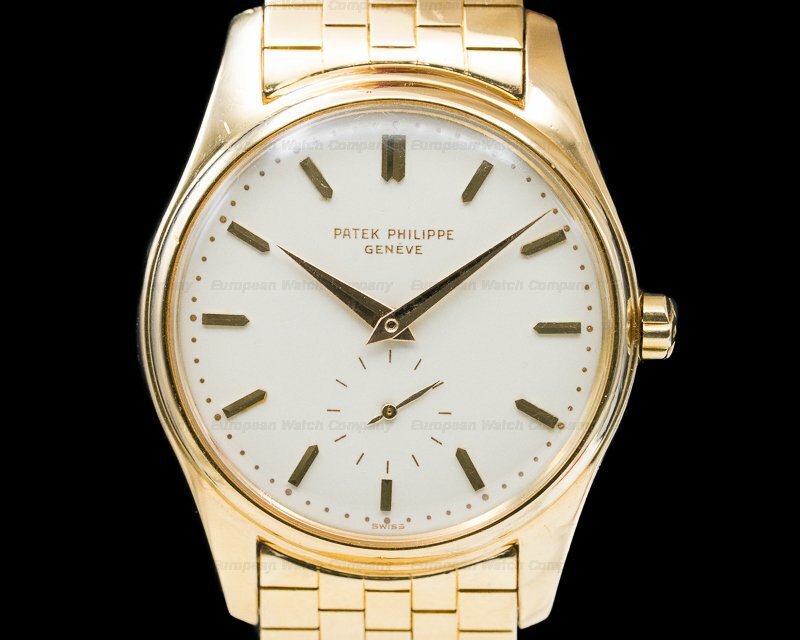 This is an 18K yellow gold Patek Philippe 3998J Calatrava. 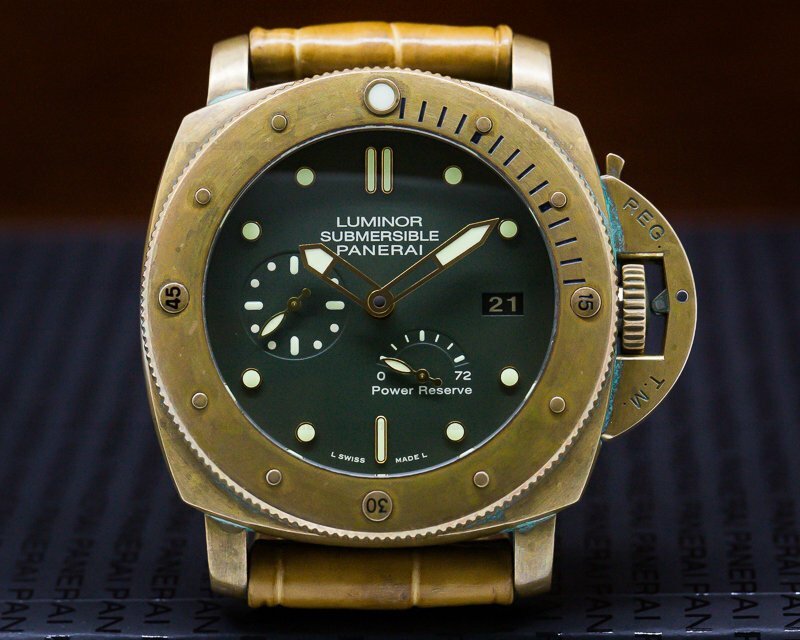 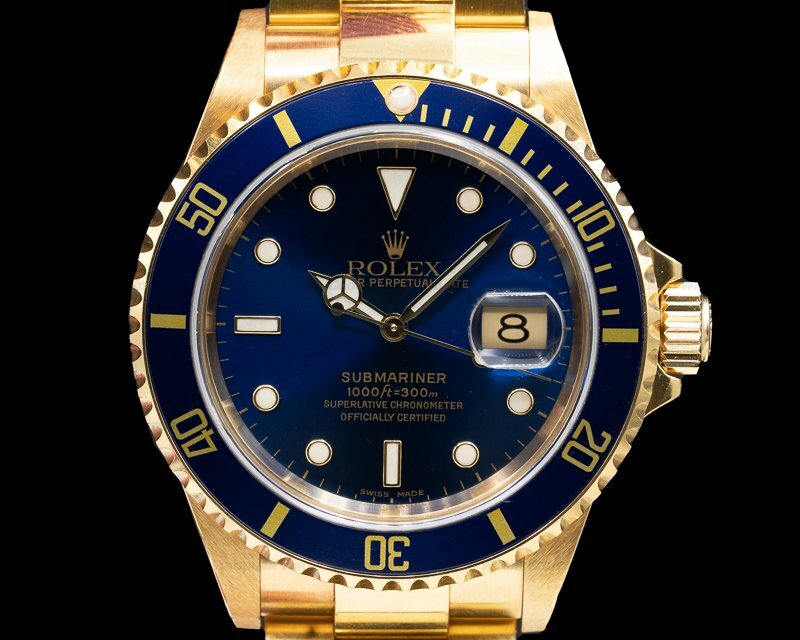 It has an alligator leather strap with an 18k yellow gold tang buckle, and a scratch resistant sapphire crystal. 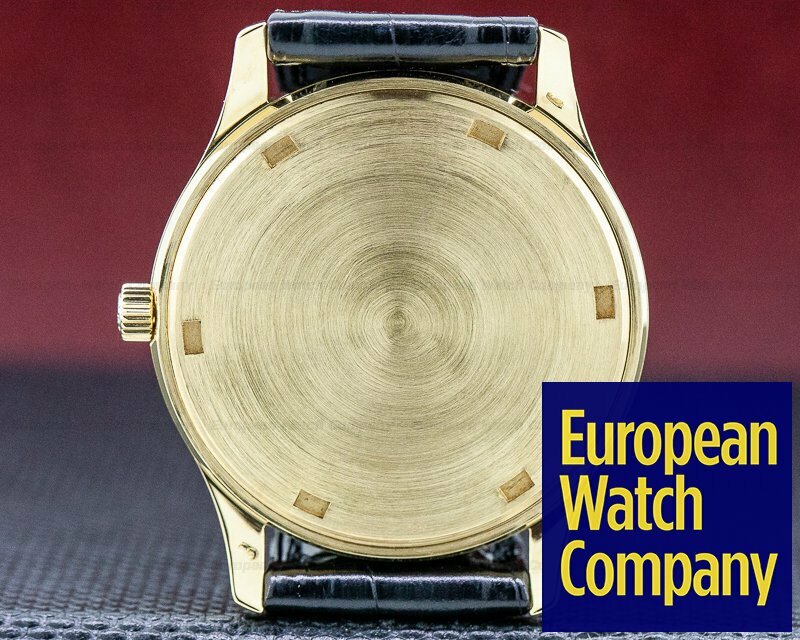 The 34mm diameter solid three-body case, downturned lugs, and rounded bezel are polished, and the solid case back is brushed with six screws. 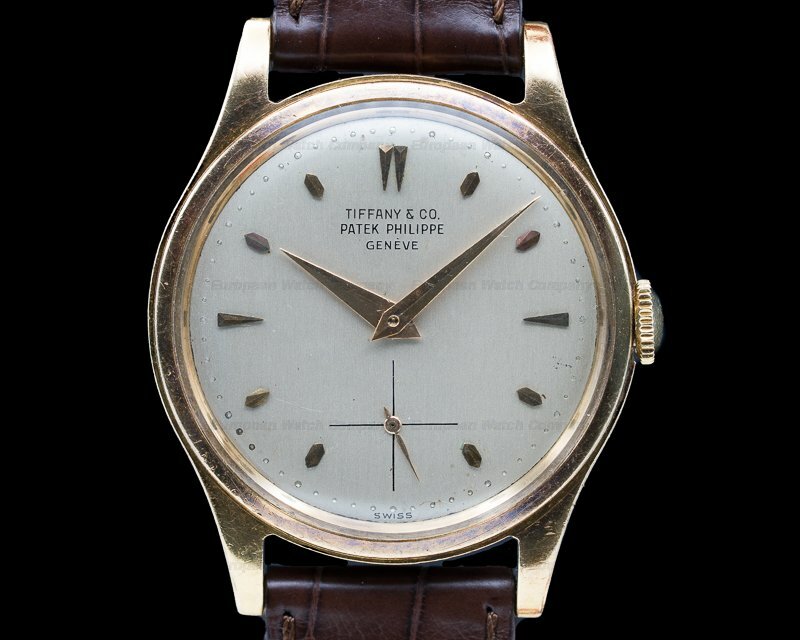 The dial is matte silver with applied yellow gold baton hour indexes, a center sweep seconds hand, and gold dauphine hour and minute hands. 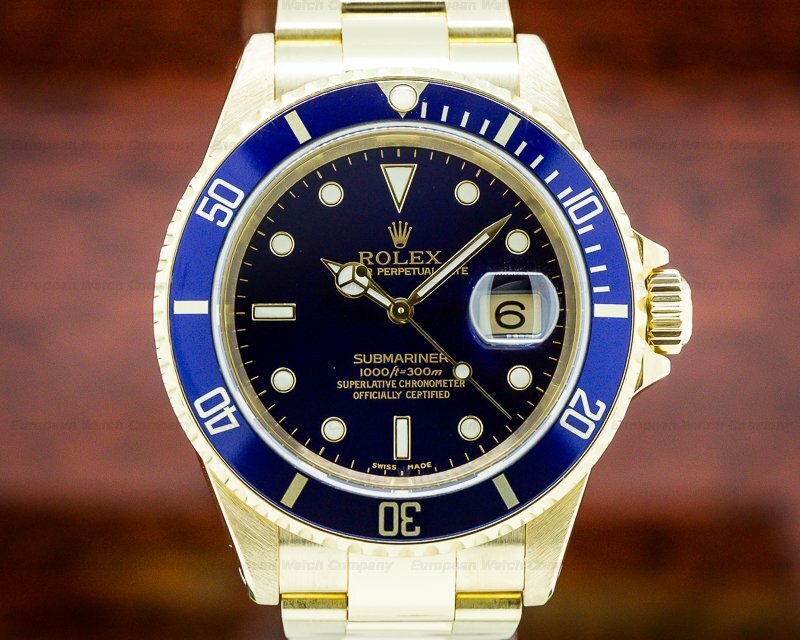 The aperture for the date is at 3 o'clock, and it's water resistant to 25 meters. 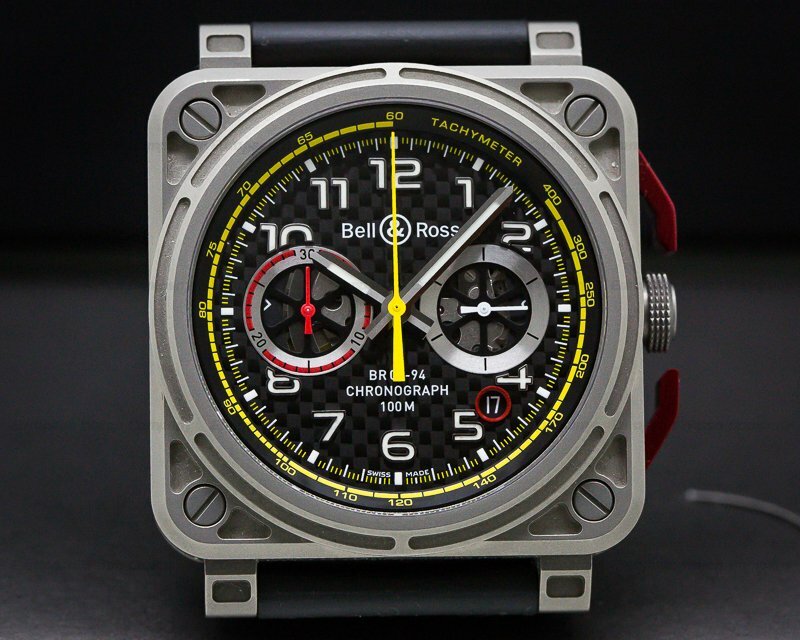 It has a 50-hour power reserve at full wind, and the 7.2mm thick case, dial, and movement are all signed. 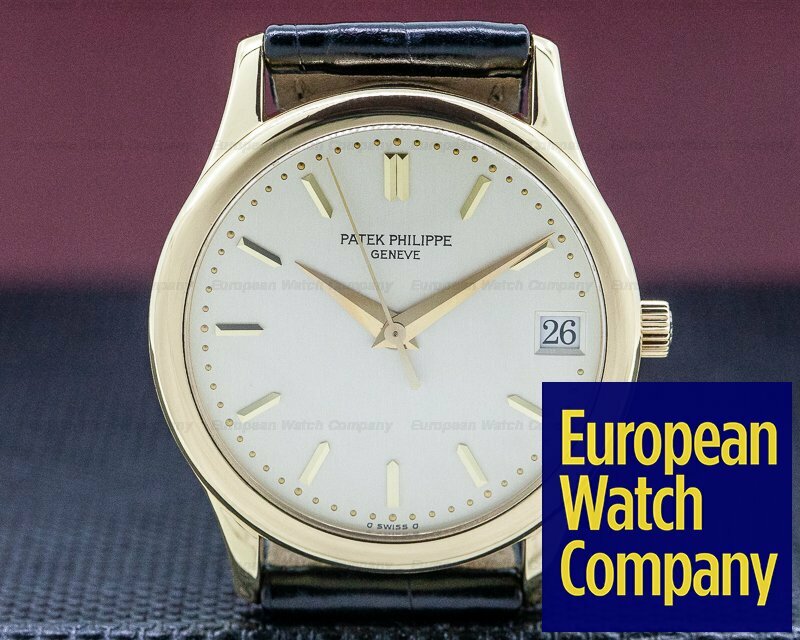 The automatic winding caliber 315 SC movement is rhodium plated with fausses cotes decoration and the stamp of the Geneva Seal of Quality. 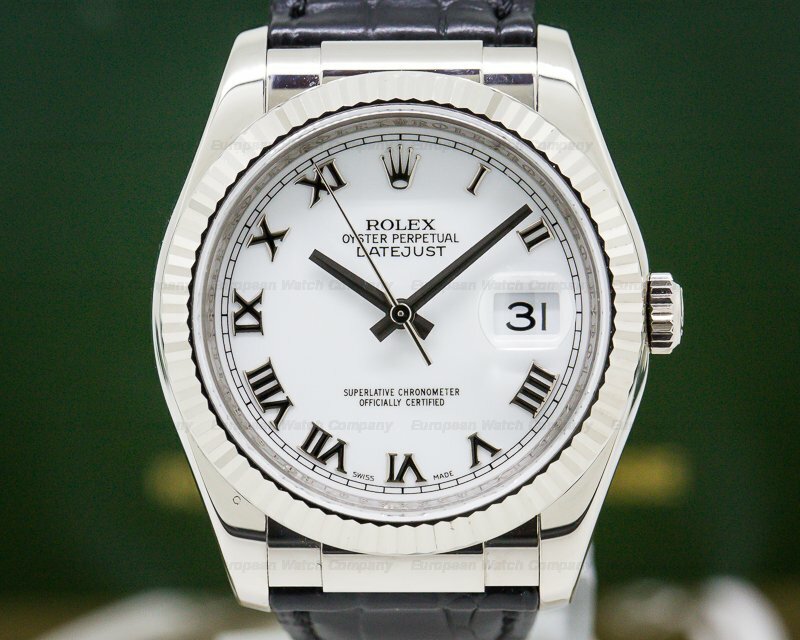 It has 30 jewels with a straight-line lever escapement, a shock absorber, and a self-compensating flat balance spring. 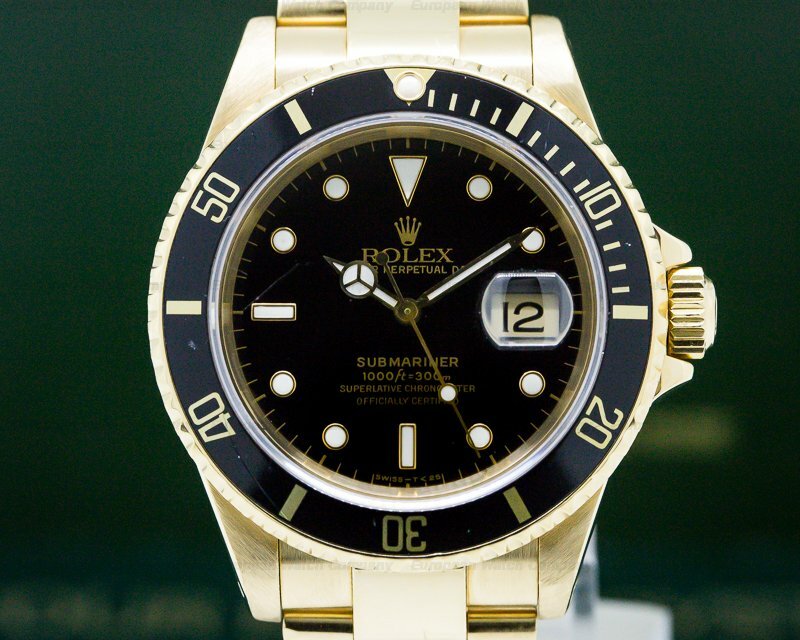 The rotor is 21K gold and there is a bidirectional winding spring mounted on ball bearings. 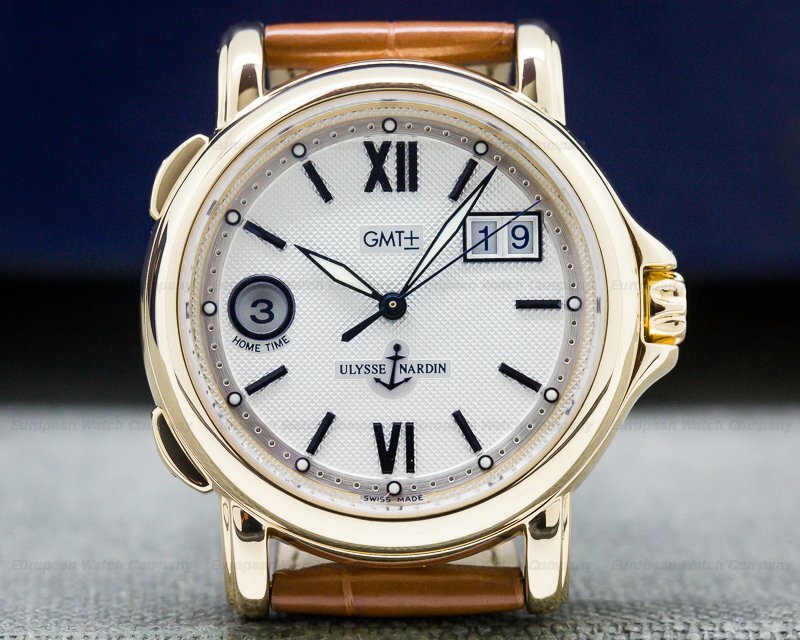 The patented Patek Gyromax balance compensates for cold, heat, isochronism, and five positions. 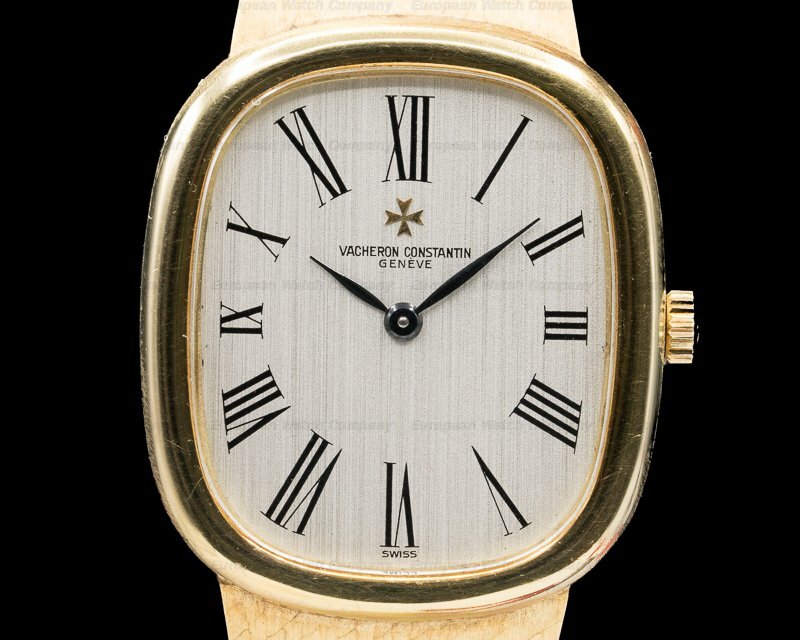 Patek Philippe introduced the “Calatrava” line in 1932. 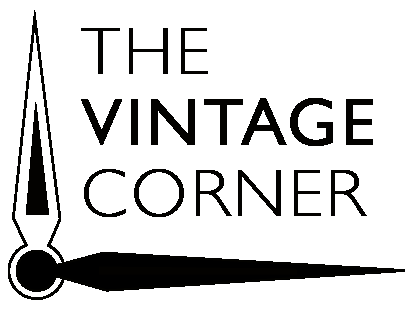 The historical beginnings of the name went back to the middle ages, during the war with the moors when a Spanish religious order of monks successfully defended the citadel at Calatrava. 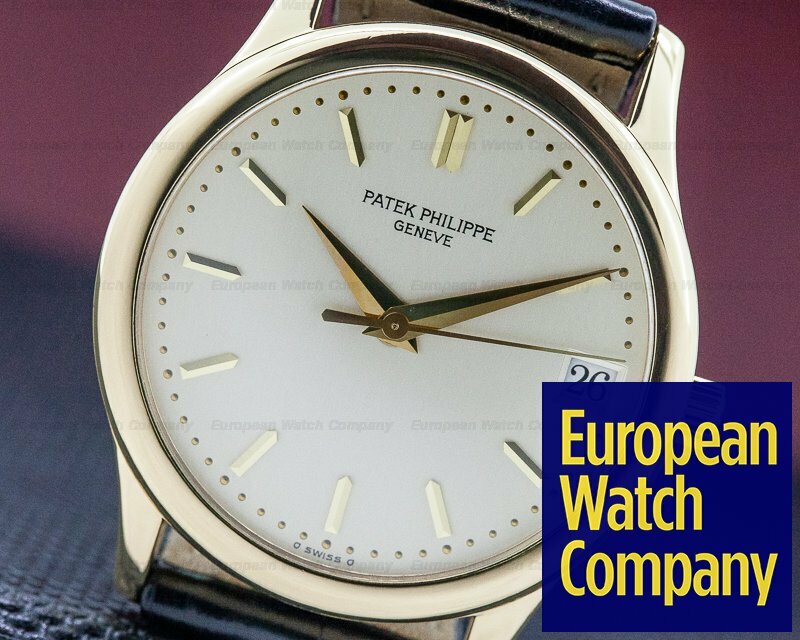 At the end of the 19th century Patek Philippe adopted the Spanish Knight for its brand symbol. 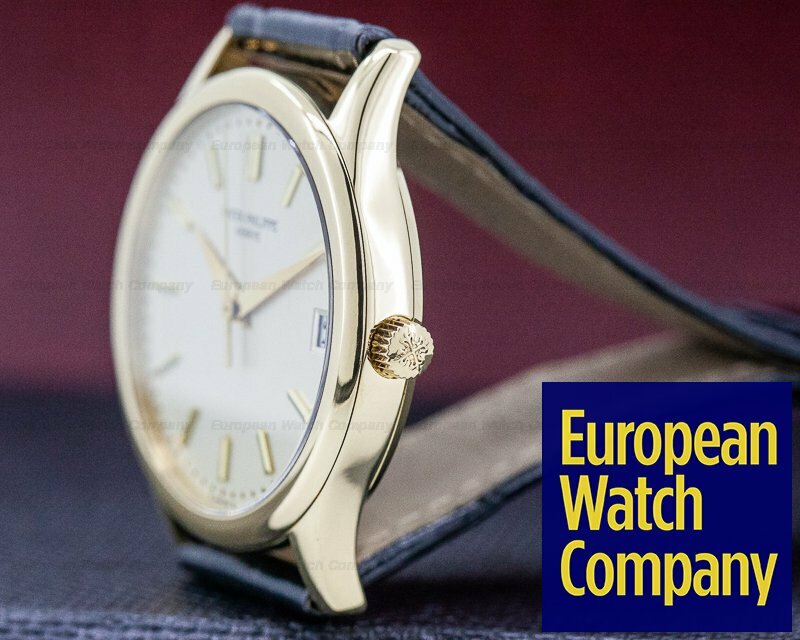 The Stern brothers, who purchased the company and restored the Patek Philippe name, envisioned the Calatrava collection as their flagship line.